Anil and Tina Ambani summoned as witnesses in the 2G scam case. In Feb 2011, Anil Ambani was subjected to sustained interrogation by the agency. Bharti Airtel chairman Sunil Mittal and Essar Group promoter Ravi Ruia had to submit personal bonds in a CBI special court as guarantees for their appearance in a case related to alleged excess allocation of radio airwaves in 2002. CBI had accused the industrialist MP Naveen Jindal of cheating and graft in one of its FIRs in the coalgate scam. CBI has also booked companies Jindal Steel and Power Limited and Gagan Sponge, which were allotted Amarkonda Murgadangal coal block in Birbhum, Jharkhand in 2008. CBI arrested Matrix Laboratories founder Nimmagadda Prasad in connection with a corruption investigation involving the son of Andhra Pradesh’s late chief minister YS Rajasekhara Reddy. Prasad was the first industrialist to be arrested as part of the CBI’s investigation of Jagan Mohan Reddy. CBI filed charges in a Delhi court against industrialists Ravi Ruia and Anshuman Ruia, the promoters of Essar Group, and Loop promoters IP Khaitan and Kiran Khaitan. Earlier in the year, the investigative agency had summoned Prashant Ruia for questioning. 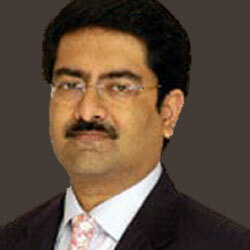 Sanjay Chandra, managing director, Unitech Wireless, was arrested in the 2G case; released on bail eight months later. In July this year, the CBI moved the Supreme Court for cancelling his bail, alleging that he had attempted to “sabotage the trial”. CBI arrested Dynamix Balwas group managing director Shahid Usman Balwa in the 2G spectrum allocation scam. There is much breast beating about how all this is perceived by foreigners and how it might affect foreign investment in India. So I thought why not just ask disinterested foreigners?Not motivated people offering sound bytes in the press? So readers, if you are not based in India,and do in some way care about stuff like this,please leave a comment and lets all get some authentic reactions. 3 Responses to Facing Criminal Charges……. If my business had been connected in corruption abroad in India then UK laws would have prosecuted me. Foreign businesses such as in the UK where anti-corruption laws exist will have serious interests in what happens in a major economic power like India. Why does the UK prosecute its subjects for what happens abroad? Because business is no longer local but global. UK can’t have a UK company like BP potentially bribing Indian officials and do nothing about it.